Nowadays, the market is filled with different sort of furniture! The sofa sets the tone to the whole style of the room. Its very hard to decide which sofa type will suit your space harmoniously, but it is even harder to explain the producer or the retailer what are you looking for. 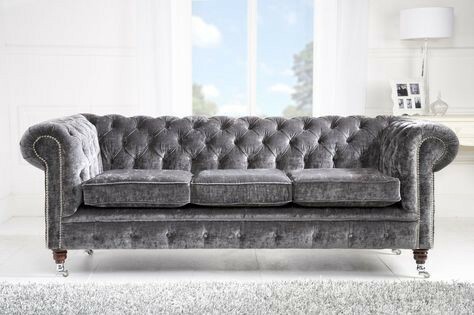 As you have noticed, there are 10 main sofa styles, in this post I am going to name, show and explain each sofa type in details. Characterized by a clean-lined, rectangular shape, tufted back and seat cushions, and solid, wood legs, the Mid-Century sofa is the ideal choice if you love the “Mad Men” aesthetic. 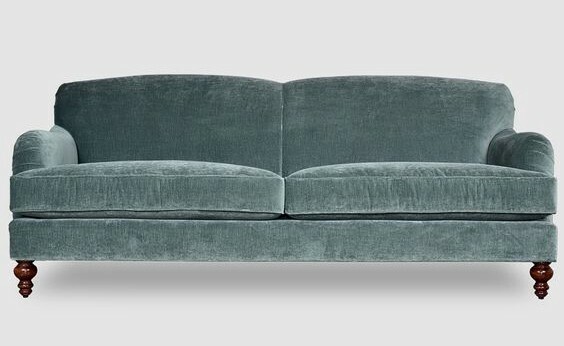 In fact, in 2009, CB2 released a Draper sofa, named after, you guessed it, Don Draper. Mid-Century sofas are always on high legs so it looks light and elevated. It has a simple silhouette. Contemporary Mid-Century sofas can have minimum of curvature of the area of arm rests (Image 2). Usually the upholstery is monochromatic, made of durable contemporary materials. This sofa will suit perfectly for minimalistic and contemporary interiors. A daybed can be used as a couch by day and a bed by night. If you have houseguests often, it’s a natural choice for when you need extra sleeping space. This feature is especially advantageous for studio apartments, or if the bedroom is small and you don’t have extra space for a chair, sofa or love seat in the room. To make a daybed more comfortable for sitting, place thick pillows against the back board so you have additional back support and your feet are more likely to reach the floor. Most daybeds have side rails or armrests, so you can lean against the side of the bed as if it were a lounge chair. The bottom cushion on a daybed is a standard mattress, typically twin-size, so it offers plenty of comfort and support. Some daybed manufacturers produce varieties that come with under-the-bed storage trundles. The added storage can serve as a dresser, toy chest or trunk for belongings. A disadvantage of a daybed is its need for a supportive back wall that runs the entire length of the bed. 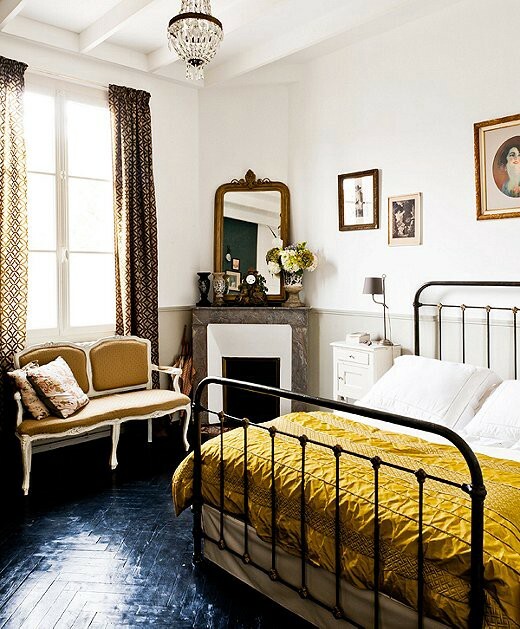 Even though you don’t have to place a daybed against a wall, it might not look visually appealing without one. 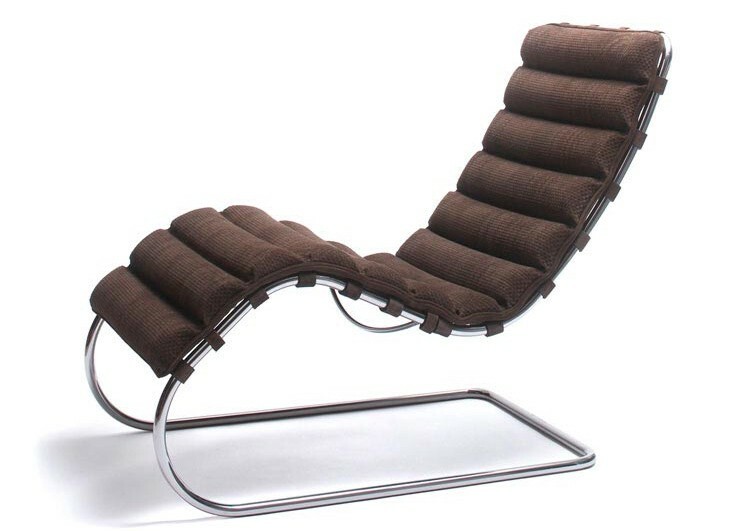 According to Houzz, “chaise” derives from the term “chaise lounge,” meaning long chair. 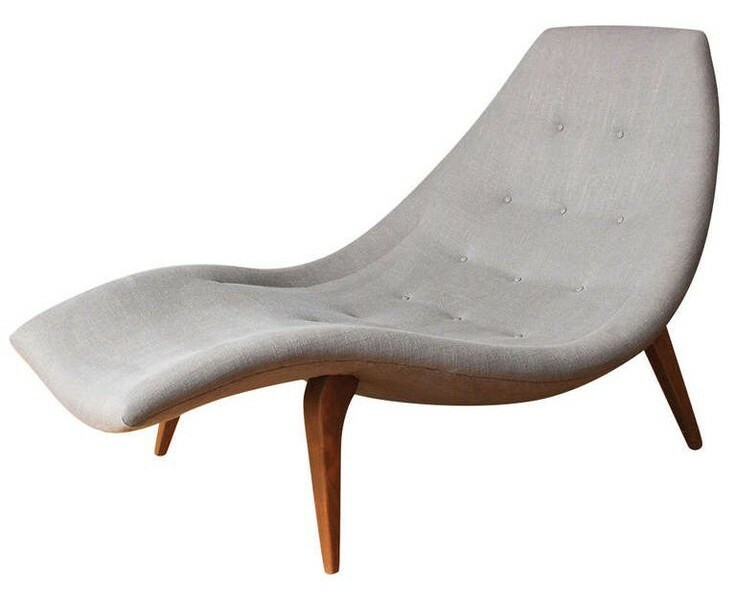 A chaise is an upholstered seat for one, and it is meant for reclining in — think of this as a chair and foot stool in one. Chaises always have a back and may have one, two or no arms. Some chaises, like the one you see here, are contoured, making it even more tempting to lie back and relax. Others have a more contemporary upright shape and can be used to seat two side by side or one reclining. The rounded arms define this style of sofa, whose loose cushions on the bottom make it a super comfy choice. The back of the seat is typically tight — meaning that the cushions aren’t removable, according to McGrath II. — The Central Perk Coach on ‘Friends’ was an english roll arm. 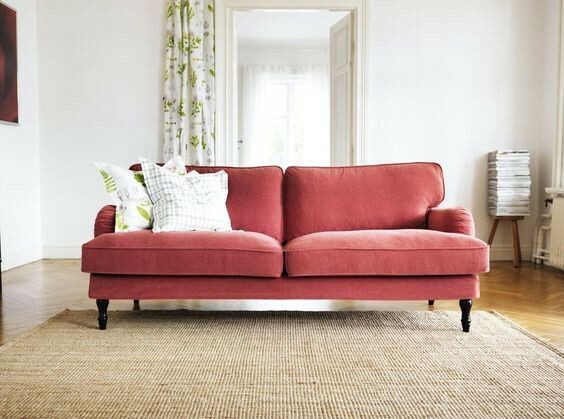 The English roll arm sofa is one of the most popular models for a few reasons. First, it’s very comfortable. 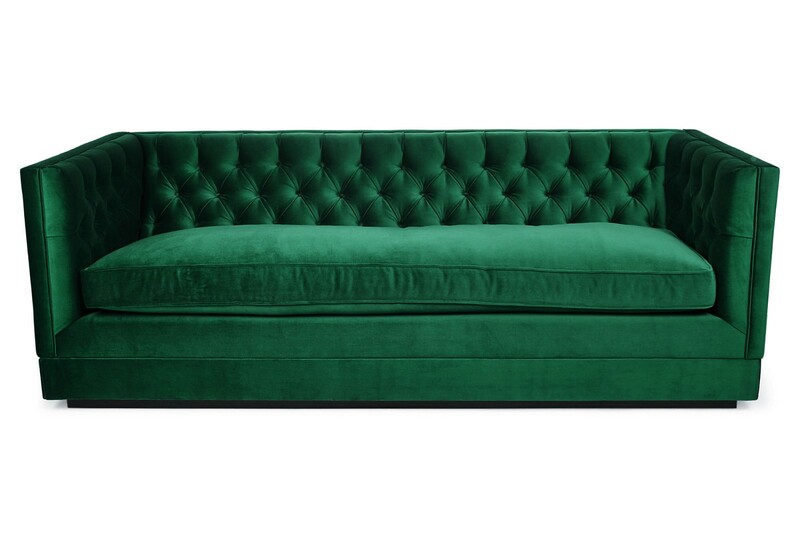 With an average depth of 42 inches, it’s easy to sink into this sofa (and never get up!). Second, it’s a classic form that will never go out of style. And third, I find its shape to be very versatile; lots of different styles of furniture work well with the English roll arm. Arms are usually slightly lower than its back. 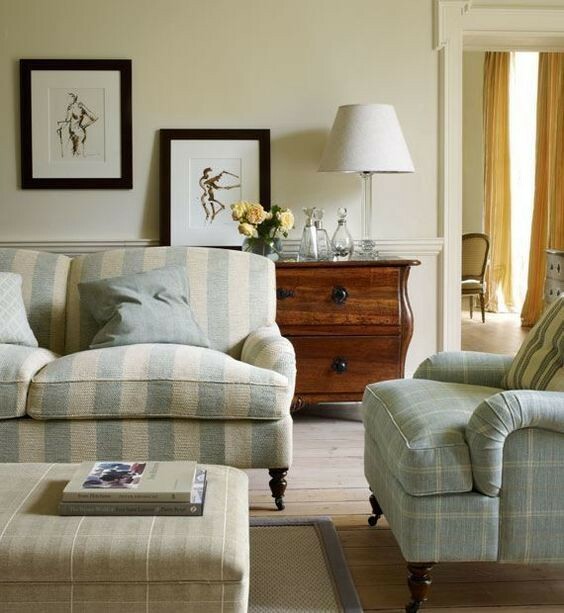 One of the most famous makers of the English roll arm sofa is London’s George Smith. Tuxedo sofa was made famous by interior designer Billy Baldwin, but there are lots of iterations of the tuxedo sofa. What distinguishes the tuxedo from other styles is its boxy shape. The arms are almost always the same height as the back and the legs are either upholstered or exposed. The couch is clean-lined and geometric, and often upholstered with fabric. The camelback sofa is a great choice for fans of traditional styling. Aptly named for its curved back, the sofa comes in a variety of styles — one hump, two humps and barely there curved back. 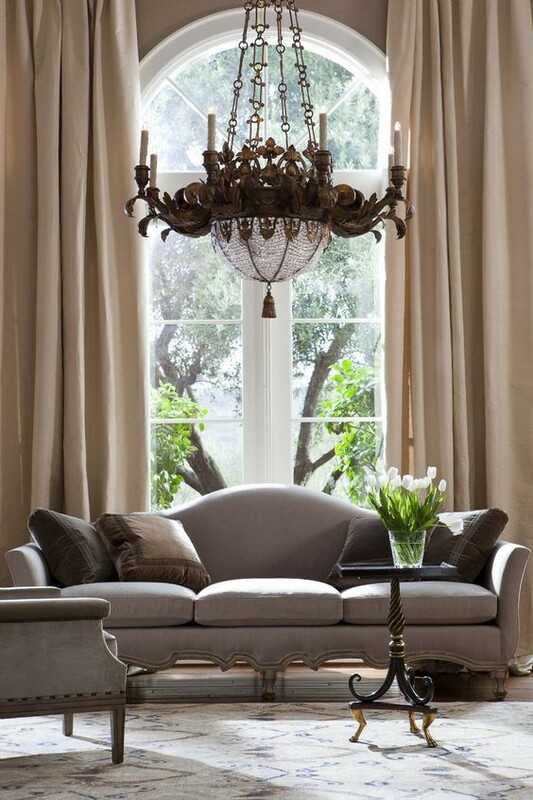 It’s a traditional style that creates an elegant look in any home. The biggest difference between English Roll Arm and Lawson is that back cushions of the Lawson are not attached to the frame. 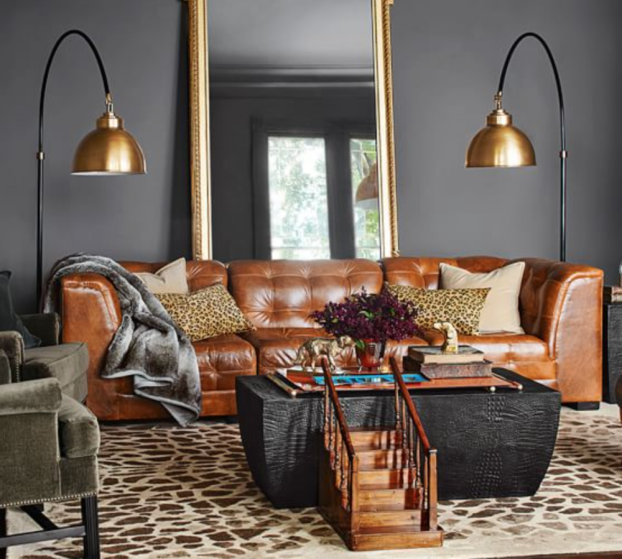 Created for financier Thomas Lawson near the turn of the 20th century, the Lawson sofa has clean lines reflecting his desire for a simpler, more comfortable and more modern construction than the ornate Victorian styles of the time. This sofa suits decors from contemporary to traditional, but the Lawson name is sometimes misapplied to styles that exhibit few if any of its characteristics. 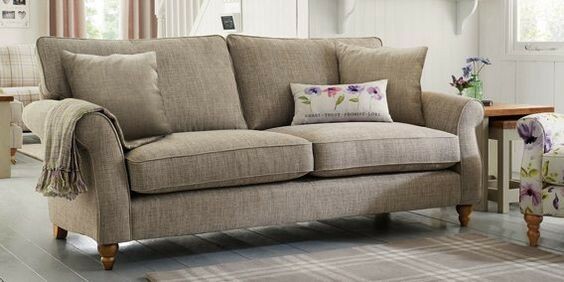 Learn to recognise key features of a Lawson sofa if you want to select this versatile classic for your space. The easiest way to know if the sofa in question is a Chesterfield? Check out the deep button tufting on the back. The arms of the couch are rolled, and are the same height as the back. Often made of leather, it’s the sort of piece you would expect in a sophisticated library. 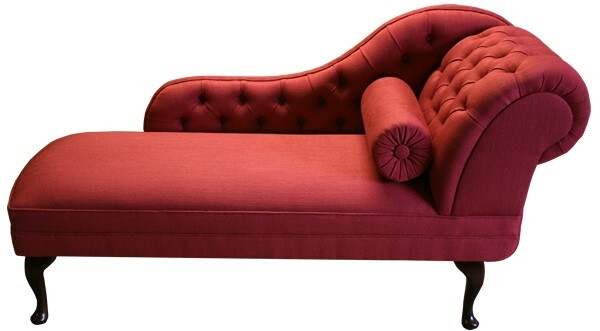 See the way the legs of this sofa curve outward and down, sort of like the ballet movement? This style of sofa — popular during the first half of the 18th century — is characteristic of Queen Anne, Louis XV, and Chippendale furniture. 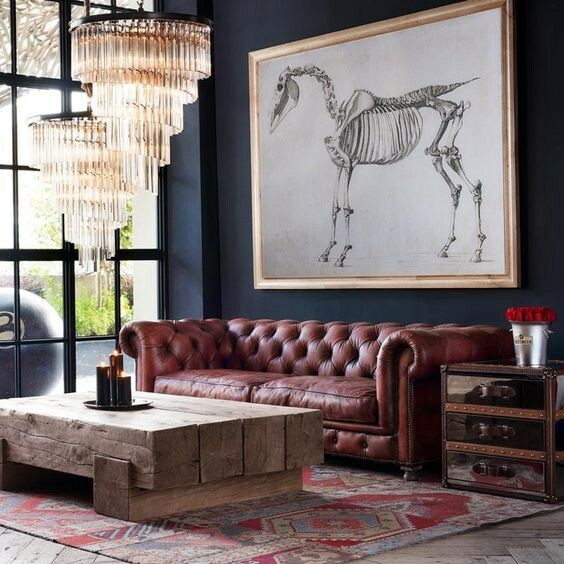 The Cabriole sofa is characterized by an exposed wooden frame (often carved); continuous, equal-height back and arms; distinctive curved legs with concave lower portions and convex upper ones; and no separate back cushions. 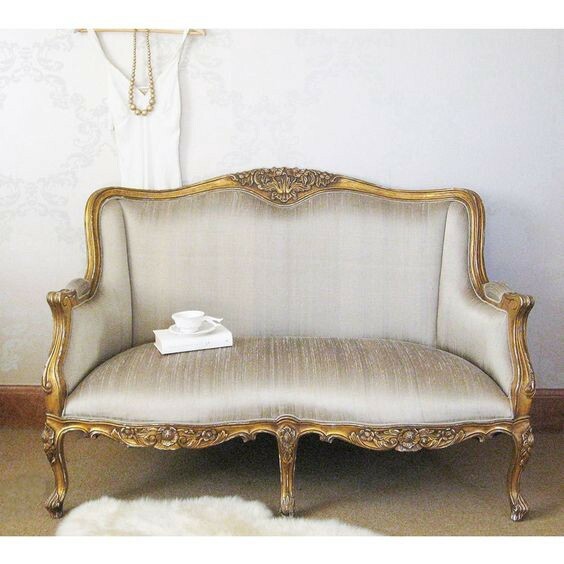 They rose in popularity around the time of Louis XV in the 1800s and have swung strongly back in vogue today. 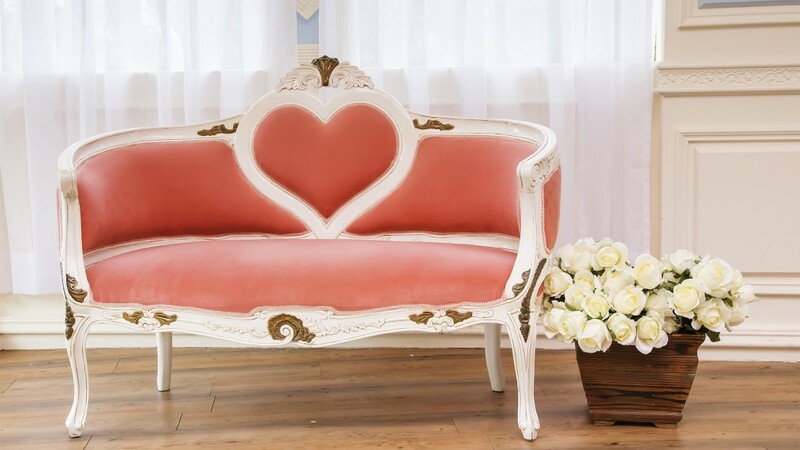 Also known as a “love seat,” the settee is defined by a straight back and space for two to sit comfortably. It can fit into nooks too narrow for a full-size sofa or create a cozy seating vignette in an open floor plan when paired with a side table or a chair. Plus, in one of these two-seaters, you’ll need no excuse to scooch up close to your seat mate. This publication helps to learn about interior design styles and materials used to design a space nowadays.